Exiting Texas Politics: What will be Kay’s Legacy? 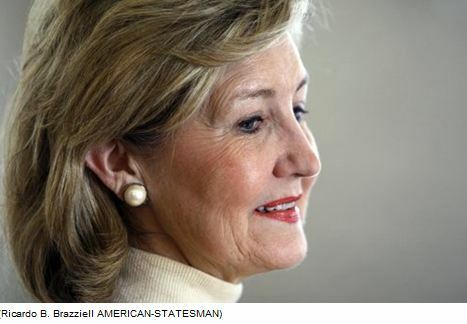 As the tea leaves continue to be read, it looks more and more probable that Kay Bailey Hutchison’s career in politics will be coming to an end soon. The only question is does it happen Tuesday or in April? At stops across Texas, Kay Bailey Hutchison has been making three cases: Rick Perry has ruined Texas, Rick Perry isn’t a Conservative, and Rick Perry has never helped Republicans. Let’s look at how Texas has fared under Rick Perry, because that’s her number one case she has to make in this election: Voters need to fire him because we’re in bad shape. The fact that Texas leads all of the big states in economic growth, limited taxes, a low debt burden, and job creation…this is just a tough pill for Republican voters to have swallowed. I don’t know if this is new to her stump speech, but it is certainly a take on something she said in the debates, and that is we’ve lost jobs under Perry’s watch. Again, a tough sell when you consider the news that’s been out there lately. Start with Facebook, and the jobs that are coming to Texas. Then there is the Canadian mattress and bedding manufacturer that is coming to Wichita Falls, Natura World, who is going to set up its U.S. Headquarters with a $25 million dollar capital investment. So with the Senator traveling the state saying on one hand we’re in trouble, either before or afterwards in the newscast the voter hears about jobs coming to Texas. Makes the words KBH says just that much more hollow. When national publications like The Wall Street Journal, Forbes, The Economist, and others say Texas is the model for how thing are to be done…will voters really respect a Senator with a doom and gloom approach to Texas? Apparently not. Rick Perry isn’t a Conservative is next in her narrative. Why, because he supposedly used stimulus money to balance the budget and that won’t be around in 2011. First, does Senator Hutchison advocate that every tax dollar Texans sends to Washington should stay in Washington? She has commented on how she has been so skillful in getting pork projects…uh federal dollars…to come back to Texas. Again, isn’t this just a wee-bit hypocritical to call out the Governor and use this as his basis for being “not a conservative?” Oh, and she says property taxes are too high and that’s Perry’s fault too. While taxes are indeed to high, the real meat on the bones is the appraisals that homeowners get each year. County governments can say “we’re lowering your tax rate” while at the same time instructing the appraisal districts to increase the value of the home to meet the need to feed government. The homeowner gets a real shallow victory and less in their pocket. Governor Perry, on the other hand, has fought for the cap in appraisals as well as getting the board elected so they at some point have to answer to the people. Senator Hutchison either doesn’t know this (from being in DC for so long) or doesn’t care, either way it shows she is out of touch with the issue. So, not being able to make the case that Governor Perry has ruined Texas nor being a conservative…she finishes her speech saying only she can save the GOP. Isn’t it just a bit odd to have someone whose race is tearing apart the Texas Republican Party being the one saying she is the one who will unite the Party? Again, this comes from being out of Texas for so long that she doesn’t remember that it was Governor Perry who fought for the Texas GOP in 2003 and we have more Republican members of Congress now because of it. As they say in baseball, three strikes and (Kay’s) your out. Early in the campaign, the senator and her husband, Ray, met with advisers in their living room discussing possible lines of attack by Perry, a Hutchison ally familiar with the meeting said. Earmarks came up, but Ray Hutchison downplayed the impact. “Which one of these projects does Rick Perry want to say no to because Kay couldn’t secure federal dollars?” he said. In an instant, Ray Hutchison may have single handedly ended her wife’s campaign. 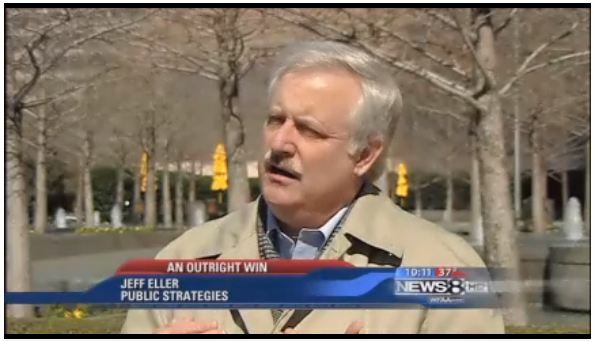 Understand that Ray’s business is as a bond attorney and benefits from government pork. It hasn’t been a significant part of the campaign, but could explain why he decided to laugh this important issue off. So while Kay had no desire to embrace an anti-Washington campaign, which would be difficult for someone whose been there for the last sixteen years, Rick Perry ran with it. In Austin and Fort Worth on April 15th, Rick Perry excited the crowds about how Government has grown too big and challenging (before it was popular to do so) Barack Obama. How all of this translates Tuesday is yet to be known. Does Kay get into the runoff and what happens then? Her campaign is so low on cash and she can’t think she will have any momentum to add to her coffers. If the tally on election night is between 49 and 50%, does she risk alienating even more Republicans? It hasn’t bothered her so far…so one has to think it won’t matter to her how much more she tears down the GOP. To Kay, she’s its saviour when she really is it’s Judas.